Although we don't use chemical fertilizers or any pesticides in house, we always strongly suggest that the end user process all flora before introducing it to a vivarium. (Excluding our NEHERP moss, which is pre-processed) This is an important & critical step of vivarium building that should not be skipped; regardless of where the plants are from. Why? For example, if a grower uses no pesticides or chemical fertilizers in house, the chance of experiencing common plant pests inevitably increases. Whereas if a grower uses chemical pesticides & fertilizers in house, the chances of introducing a potentially dangerous chemical or fertilizer increases. Although one poses an inconvenience, and the other poses an inhabitant-threatening chemical risk; plants should always be processed to be safe either way. The industry-standard processing procedure takes only 5 minutes, and is always worth the peace of mind. Suggesting otherwise would be irresponsible on our part, and we strive to offer only the best vivarium building advice. Processing flora before introducing it to a vivarium is perhaps the #1 most overlooked aspect in vivarium construction today! 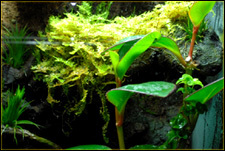 For all plants placed in a vivarium, the 1'st few weeks are always the most critical. During this time, the plant will begin to acclimate to it's new surroundings by growing it's root structure, and throwing new growth. Before acclimating to it's surroundings, it is normal for some plants to die back a bit before taking a turn for the better. It's very important that the plants are not disturbed or allowed to dry out during this critical acclimation period, so try to pay extra close attention to all freshly added plants. This is especially true with extremely fragile moss, selaginella, vines, & trailing plants. For this (and a few other reasons explained in Vivarium Construction 101), inhabitants should not be introduced into a vivarium until it's 3+ weeks old. For a whole lot more information on what to expect with freshly planted vivariums, check out our Vivarium Construction 102 guide. Appropriate vivarium substrate choice is critical for long-term viability of plants within an enclosure. We suggest using ABG substrate, NEHERP substrate, or something similar for best results, as both are well-proven excellent choices that hold up long term in very humid environments. Things like drainage, aeration, pH balance, resistance to breaking down, and the ability to support microfauna should all be considered when choosing a vivarium substrate. (Each of those points can and will affect plants!) 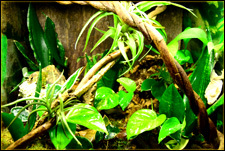 Check out our Vivarium Construction 101 guide for lots more info on this subject! To make a long story short, most vivarium plants do best with bright fluorescent or LED bulbs in the 5000-6700K (kelvin) range, illuminated for 12 hours daily. Never put a vivarium in direct sunlight, as doing so will cause the tank's temperature to skyrocket in a very short period of time. Lights should be timed for about 12 hours on & 12 hours off for the best plant growth & a healthy day/night cycle for the inhabitants residing in the vivarium. We have vivarium lighting kits available, if you are looking for a quick, easy, and inexpensive "one click" solution. For more info on vivarium lighting, we have two articles on the subject. Our Basic Vivarium Lighting Guide offers a quick read that covers all the necessary basics for a successful build, and our Vivarium Lighting 101 article explains both the basics and some more advanced topics, as well. Bare rooting a plant is the process of removing soil from it's roots. If this is your first time bare rooting a plant, it's worth mentioning that they are actually much more resilient about us fussing with roots than you'd think! The main thing to try & avoid is folding and breaking any the roots during the process. First, you'll want to remove the plant from the pot (if applicable), and gently shake off as much soil as you can. 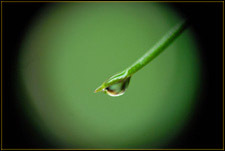 From there, brush more of the soil off by hand, and whatever is left can be rinsed off with water under a sink. If your sink has a nifty spray setting, use it to coax as much dirt off as you can. You will not cause any lasting damage to your plant by bare rooting it carefully. Once all the soil has been carefully removed from the roots & plant base, it's just one step away from being ready to be placed it into a vivarium. Bleach treating a plant is a common, safe, and easy procedure that every responsible vivarium builder uses. As explained above; all plants from all sources should always be processed before introducing them into a vivarium. This process is for non-sensitive flora only, and should not be used on many species of Bromeliads, Orchids, clippings, and other sensitive plants. If you are unsure how your plant will react to processing, test a clipping of it first or ask someone with experience (contact us) before proceeding. 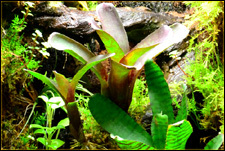 Generally speaking, this is acceptable practice for the majority of common plants available in the terrarium plant trade today, and processing multiple plants simultaneously is usually the quickest way to move forward. 3a) The type of bleach you have will determine how to dilute it. 5) Once it's been very well rinsed, your plant is now ready for planting in a vivarium; worry free! Some species of plants are too sensitive to bleach treat. For most species of Bromeliads (Neoregelias, Tillandsias, Aechmeas, etc), Orchids, sensitive mosses, and sensitive clippings, we suggest a thorough rinse and allowing the plant to soak overnight in purified water. Doing so minimizes the risk of contaminating a vivarium with unwanted microfauna. Other extremely sensitive species should at least be carefully bare rooted, well rinsed, and closely inspected before adding the plant to a vivarium. 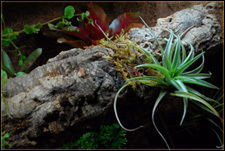 Thanks for choosing NEHERP as your vivarium info & supply source! If you have any questions at all about the info in this article, don't hesitate to contact us. We're happy to help!